This collaboration between T. M. Hunter and myself (with cover art by T. K. Toppin) features a band of orphans as they flee the cruelty of their former headmaster in NYC and begin their search for Max's father who is facing trouble of his own out west. The headmaster, however, hires a vengeful bully to track down Max, Sadie, and the rest of the gang before they complete the first stage of their journey to Chicago...and make their ESCAPE. This novella is the first installment of a middle grade adventure series that is set in the 1890s. 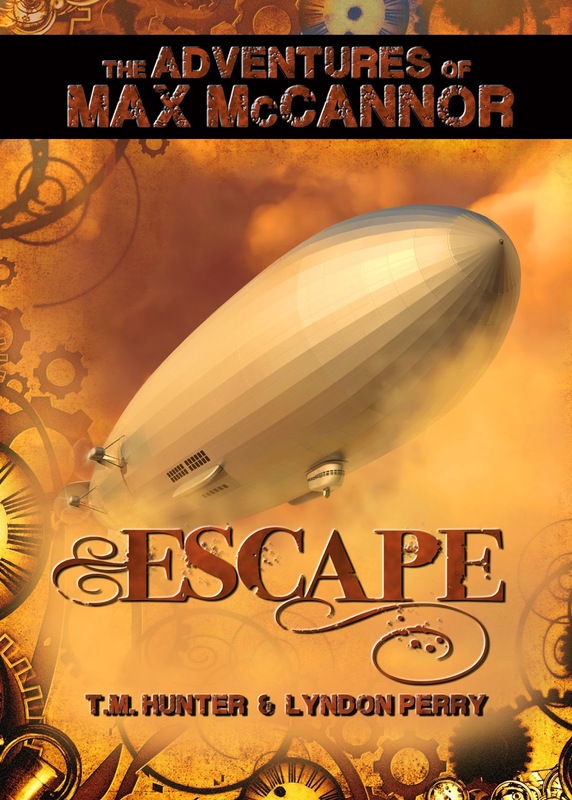 We've taken a bit of 'steampunk' liberties with the transportation, inventions, and gadgets and think readers will have a bit of fun as they race along with Max McCannor as he leads his friends on a wild ride to freedom. Coming December, 2013. Published by Tule Fog Press.